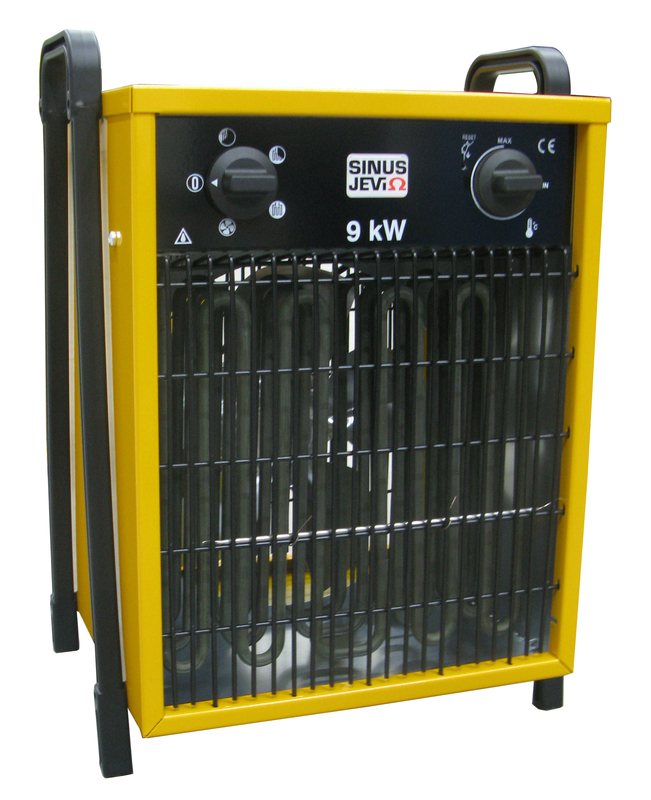 Cost effective electric fan heater type TXI is suitable for light industrial use and other less demanding applications. These heaters are especially convenient for mobile use. 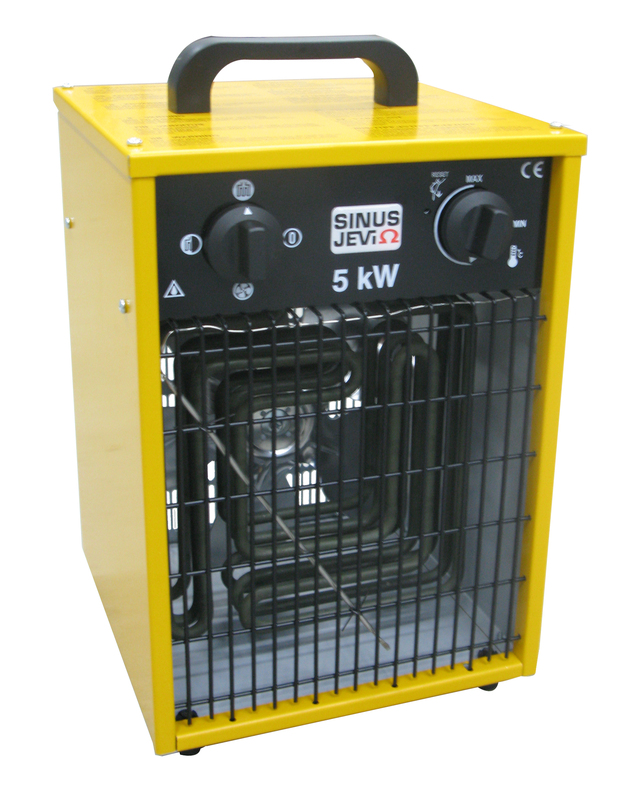 The fan-heaters are ideally suited for heating small- and medium-sized premises such as living rooms, workshops, garages, shops, storerooms, summer cottages, etc. Even larger premises, such as greenhouses, sports- and factory facilities can, by using or combining several fan heaters, be sufficiently heated. TXI fan-heaters are manufactured and approved according to current European standards. 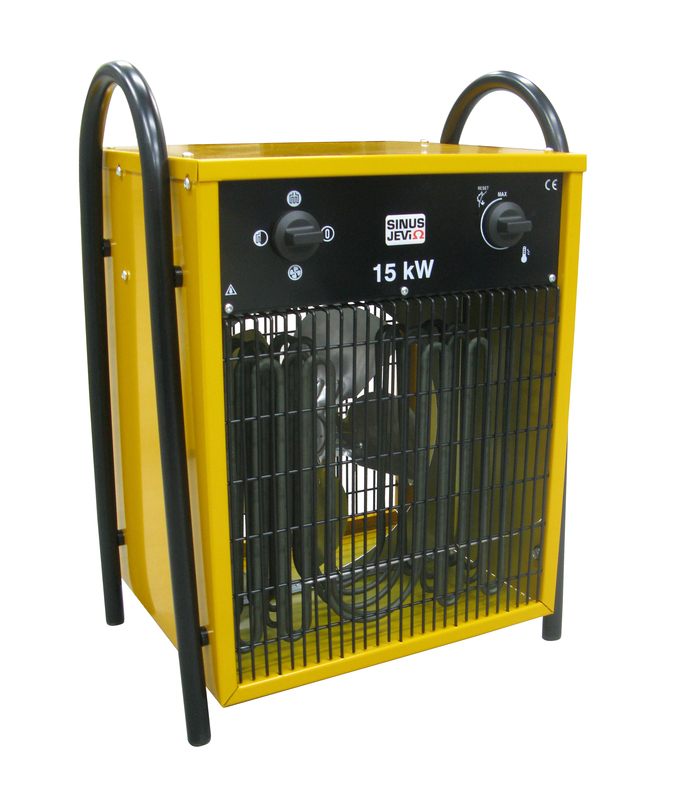 TXI fan heaters are produced with coated steel cabinets and with insulated safety handles. Stainless steel tubular heating elements ensure reliable and efficient heat transfer to the air flow. The fan motors do not require any specific maintenance. Both a control thermostat and safety thermostat with manual reset are a part of the heater design. With the aid of a rotary switch it is possible to select the operation mode: heater off, fan only, half power or full power. Model TXI 90 has the possibility to select between 3 power modes: 3 kW, 6 kW and 9 kW. More technical details can be found in the table below. 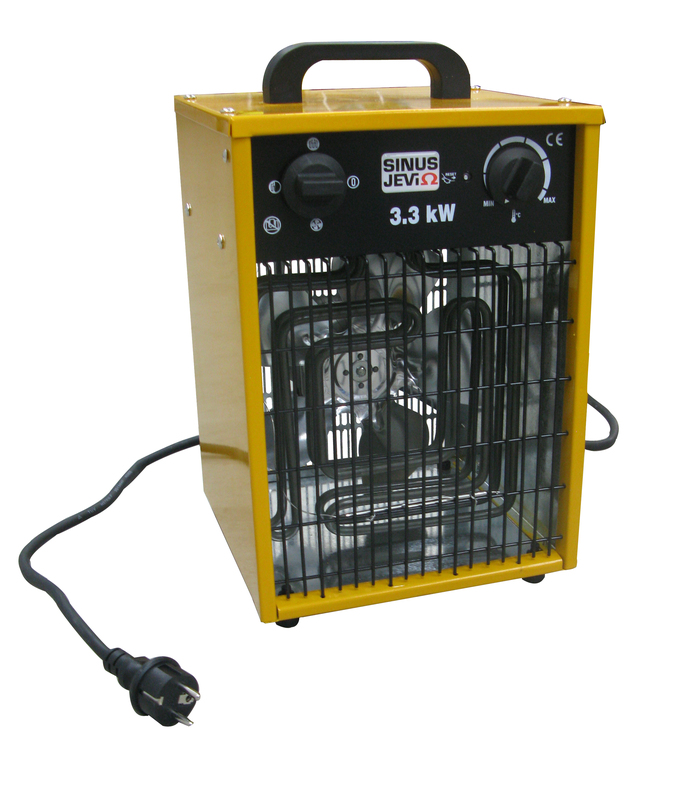 TXI 33 is equipped with 2 metres power cable including a (230 VAC / 50 Hz) Schuko plug. The other models have to be connected to the mains with an external mains connection cable.